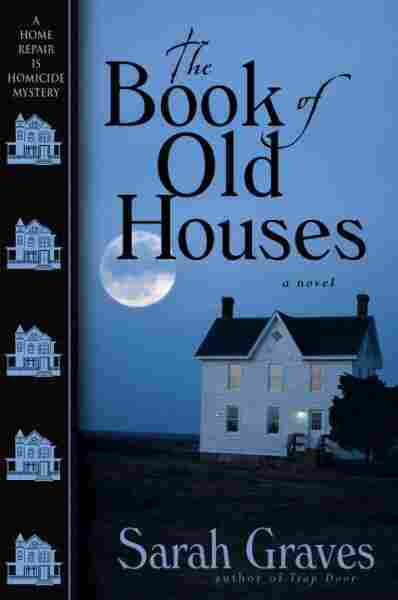 The Book of Old Houses NPR coverage of The Book of Old Houses by Sarah Graves. News, author interviews, critics' picks and more. Jacobia "Jake" Tiptree undertakes a new investigation into the murder of antiquarian book expert Horace Robotham during a random mugging, after his death is linked to an enigmatic old volume discovered in the cellar of her 1823 fixer-upper. July 14, 2008  The Eastport, Maine, Sarah Graves ladles up for her readers in her Home Repair Is Homicide series is picturesque, but not picture-perfect. In fact, it's a lot like the small town the author calls home — give or take a few dead bodies. Driving up I-95 through New Hampshire and on into Maine, Dave DiMaio noticed as if from a distance how anger made the familiar route look alien to him. The Way Life Should Be, the sign welcoming visitors to the Pine Tree State proclaimed. But to Dave it was as if he were seeing it all by moonlight, everything bleached by rage. Once he was nearly overcome by the urge to lean forward onto the steering wheel and howl over the murder of his friend Horace Robotham, whose death Dave had learned of only the night before. But he was speeding along the turnpike, so he couldn't. He pulled off at a service area to use the restroom and wash his hands. Blinking tourists, kids with dogs straining on leashes, vans and campers with bikes, canoes, and kayaks lashed to their roofs crammed the asphalt parking area. Coming back out into the sunshine with the air faintly tinctured by exhaust fumes and the smell of breakfast sandwiches from a nearby fast-food place, he was tempted to linger, stretch his legs and work the kinks out of his neck. But Horace's death—murder, Dave reminded himself fiercely, his friend's brutal murder—wasn't all that troubled him. The thing he'd tucked into his glove compartment before leaving home seemed to broadcast its evil presence on a special wavelength that only police officers and car thieves could hear. Then he noticed the scrap of paper on his windshield, tucked under the wiper, and the fragments of red plastic littering the pavement at the rear of his car. During the few minutes he'd been inside, someone had bumped the car's tail light, shattering it. The note on the windshield held an apology and a promise to pay for the repair, along with a name and phone number. Dave tossed the paper into a trash receptacle and got back on the road. If a smashed light was the worst that came out of this trip, he would count himself lucky. At Bangor he threaded his way through numerous highway signs and across the Penobscot River bridge toward coastal Route 1A. On the bridge's far side he pulled into a convenience-store parking lot to buy a soft drink. All around him the midmorning bustle of ordinary people on ordinary midmorning errands continued, just as if Dave's oldest friend had not had his skull savagely crushed in with a rock one recent night while he was out for a walk. Thinking this, he changed his mind about the soft drink. A lady coming out of the convenience store peered at him before getting into the car next to his, and it took him a moment to understand that there were tears running down his cheeks, the dark well of mingled fury and grief brimming over again without warning. Wiping a hand hastily across the moisture on his face, he mustered a smile and a weak It's okay wave for the lady, whose own hands now touched her lips in an uncertain praying gesture as if she was trying to decide whether or not to get out of her car and come over to him. But at his wave she just nodded minutely instead, her kind, plain face seeming to say that she'd had a few unscripted teary moments of her own over the years. That it could happen to anyone. She backed out and drove away, and after another moment Dave did too, following the map's directions to a twisty rural road leading to Route 9. The sudden change from four-lane highway to something that was little more than a paved trail triggered a flashback to a trip Dave had taken years ago with Horace, to New Mexico, where they'd pulled in very late one night to a motel on Route 66. Once they were in the room Dave had gone to the rear window and pulled the curtain aside, expecting to look out onto another brightly lit commercial strip of gas stations and restaurants. But he had seen only moonlit desert, dark shapes of what he supposed were saguaro trees marching toward distant mountains. It had startled him then the way civilization could end so abruptly, and he felt just as vulnerable here in Maine. Once you left a city and the thin buffer of suburbia surrounding it, wilderness closed in on you again in earnest. He and Horace had risen before dawn the next morning, and as they departed the motel's parking lot Dave had happened to glance in the rearview mirror just in time to see the light over their room's door wink out. Only theirs, none of the others. To Dave it felt ominous, like a message from the darkness that had enclosed them all night. Horace had seen it too, and as they pulled onto Route 66 in the predawn gloom he'd glanced silently at Dave, wearing that funny little smile of his that Dave now remembered so painfully. Dave hit the gas just as he had all those years ago, roaring out onto Route 9 between a log truck and a highballing eighteen-wheeler, causing his underpowered old Saab 99 to labor briefly. Soon a lane for slower vehicles opened on the right and he pulled into it to give the faster ones a chance to pass. After that it was smooth sailing, the landscape rising and the road curving up into it with breathtaking swiftness. Dave sped through tiny settlements surrounded by dairy farms, their pastures stone-studded and terraced by plodding hooves. Next came land so thinly settled that the towns didn't even have names, only numbers, gated access roads, and desolate highway-maintenance yards sited in the clefts of the high hills. The enormous sand-heaps in the yards testified to the shortness of summer here in Maine, and the treacherousness of winter. Not that this particular highway wasn't an attention-grabber even in August. Dave drove Route 9 for a long time, his anxiety increasing each time an oncoming truck hurtled around a curve straight at him, then roared past without overturning or losing its load as it seemed the massive vehicle surely must do. He couldn't imagine confronting those huge trucks when it was snowing or the road was slick with sleet, sand-heaps or no. But Horace used to say that if you wanted to experience the real Maine, come when it was cold. Winter, he claimed, was when the sub-zero temperatures squeezed a few scant drops of the milk of human kindness out of even the dourest old Maine coot. Without warning, a flashing light appeared in Dave's rearview mirror. His heart lurched as the thing in the glove box, half-forgotten in the seeming endlessness of the challenging road, began to give off its evil Here I am! vibes again. He located a narrow gravel turnout just ahead and put his signal on. The blue Ford sedan with the flashing blue light bar on its roof pulled in behind Dave and the trooper got out, wearing a pair of mirrored sunglasses. Dave felt sure the sunglasses were special, law-enforcement-specific ones that would enable the cop to see right through the Saab's dashboard straight into the glove box. Courage, Horace used to say, doesn't mean not being afraid. The trooper slammed the squad-car door deliberately, looking down briefly at his summons book as he did so. Courage, Dave's good old murdered, skull-crushed buddy used to say, means doing it anyway. He'd said it back in New Mexico all those years ago once the sun had come up and the errand they'd been on, to a small adobe house at the end of a dirt track in the mountains' shadow, had ended benignly. As not all of their errands did. Dave hoped Horace's insight about courage was true, partly because of the police officer's presence. But mostly his errand frightened him. While the trooper was still looking down at the summons book, Dave reached forward to open the glove box, sliding the envelope that held his documents out from beneath a dark lump of metal, cold and oily-feeling. "Morning, sir. May I see your license and registration?" Dave looked up at the trooper, whose practiced eyes were no doubt scanning the car's interior from behind the mirrored sunglasses. The glove box was shut, the requested items out and ready for inspection. Over the years he and Horace had done things this young cop wouldn't believe. Thinking of them kept Dave's voice level, even though in the past when weapons-handling had been necessary it was Horace who'd always handled them. "You certainly may. May I ask what the trouble is, Officer? I didn't think I was speeding." Horace said that Dave might be an ivory-tower academic and a pacifist besides, but he still had the coldest blood this side of a reptile cage, when it was necessary. Used to say. The trooper handed Dave's documents back. All in order, apparently. The sunglasses regarded him. "No, sir. You weren't speeding. D'you know your tail light's broken?" Dave smiled. "Oh. Yes, it happened just today. I'm going to get it repaired as soon as I get to Eastport. That's where I'm going," he added. The trooper didn't smile. "Yes, sir. Eastport, you say?" Dave waved at the map that should be on the passenger seat, then remembered that in his haste and grief he'd forgotten it, leaving it on the desk in his office. "Old school pal moved there," he explained to the trooper. "I just got the idea I might try looking him up." He was talking too much. Lying, too, which he knew was even riskier. The man he'd be looking for in Eastport wasn't a pal in any sense of the word. He was a killer. Dave was certain of it. The trooper nodded. "Right, then. Be sure to get that light fixed. And have a nice day." Dave was about to agree that yes, he would certainly have the tail light repaired at the very first opportunity, when the glove box door fell open. The sound and the unexpected flicker of motion from the far side of the car caused the trooper's head to tip mildly with the beginnings of interest. Don't react. Dave didn't know what the officer could see from where he stood by the driver's side of the car. Wondering this, he felt his blood chilling down to the temperature of a Maine winter night, the kind of night when the sand trucks were out in force and even the dourest of Horace's beloved old coots could muster up a few thin, bluish drops of the milk of human kindness. "Thanks, Officer," he said. He slid his registration and insurance card into the open compartment and shut it firmly. "You have a good day, too." Then he waited to be asked to step out of the car, spread his legs, put his hands on the doorframe, et cetera. But the trooper merely turned away. Dave watched, his hands resting with elaborate casualness on the steering wheel, as the cop got nearly to his own car, then paused and came back again. "Sir?" The cop leaned down to Dave's window. "Yes, Officer?" Dave's own face was now reflected in the sunglasses. Fortyish, dark hair, big ears. Not particularly guilty-looking, and why should it be? He wasn't guilty of much. Yet. The trooper stabbed a finger at Dave. "You go on from here about thirty miles, you'll see a sign. Little side road meets up with 214, it'll knock half an hour off your trip to Eastport." "Great," said Dave, not yet reaching for the ignition key. "Thanks very much." He waited until the squad car pulled out ahead of him before starting the Saab. Reptile or not, he'd been certain for a minute that his quest for information in the matter of his old friend's murder was over before it began. Information and more. Horace said pursuing revenge was like setting a bear trap and sticking your own foot into it. But not this time. Route 214 turned out to be a winding lane through sweet-smelling fields long abandoned to goldenrod and blackberry brambles. Cicadas whined shrilly in the silence on either side of the cracked pavement. As the trooper had promised, the shortcut knocked half an hour off Dave's trip. For a stubborn patch of recurring mold in tile grout, clean thoroughly and then try applying a dab of Neosporin ointment every day for a week. These, I'd believed in the depths of my innocence back then, were the ordinary amenities of life. And when they got broken I thought people could fix them. Other people, I mean; ones who understood stopped drains, leaky pipes, and shutoff valves that when you turned their knobs--or in my case when you threw all your weight into breaking their rust encrustations--responded by shutting off something. Instead of just snapping off in your hand, as the handles in my old bathroom did the first time I tried turning them. Next came a moment of stunned horror followed by a geyser so forceful, it hosed all the mildew off the places where the blackish stuff had flourished for decades, way up there on the bathroom ceiling. And then I called a plumber. Sadly, even plumbers could do little but stare helplessly when confronted with pipes so anciently decrepit, they belonged in a museum. Probably my bathroom was regarded as the absolute height of modern convenience when the nearly two-hundred-year-old house was modernized. For one thing it eliminated, you should excuse the expression, the backyard privy. But seventy-plus years later, the bathroom in my old house was not much more than a closet with running water. I finally did find a fellow to replace some of the fittings, so you could take a shower without having to go down in the basement to turn on the hot and cold. But you could still only take a bath if you wanted to fill up the bathtub with a bucket. And if you wanted to sit in the tub, which I didn't. Call me crazy, but I'm a big fan of bath water that doesn't have other people's personal molecules floating in it, and I especially draw the line at seventy-year-old molecules. As a result I'd filled that tub repeatedly with enough hot bleach to sterilize a dozen operating rooms. But I still couldn't get comfortable in it, until one day I just went up there and took a sledgehammer to it. And although I failed spectacularly in my attempt to remove the hideous old fixture—swung hard, the hammer bounced back up off the cast iron with a sound like the ringing of some massive gong, nearly taking my head off on the rebound—may I simply say right here that just trying to destroy an old bathtub with a sledgehammer turned out to be a heartwarming experience. So I demolished the rest of the bathroom instead. Wham! went the cockeyed old wooden shelves, their peeling paint stained by ancient medicaments and scarred from decades of use. Crash! went the towel racks some long-ago do-it-yourselfer had fastened to the plaster without bothering to find any wooden studs to secure them to first, so anything heavier than a single wet washcloth made them fall down by themselves.